Ah, the weather is beginning to improve, the garage needs cleaned, the house could use a good airing, and your personal finances need to be brought into perspective. 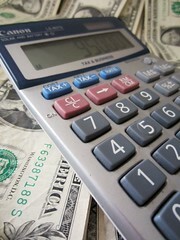 Here are five ways to spring clean your personal finances in 2012. Start out by getting your tax information organized. Buy a few folders…one for vehicle related expenses, one for household expenses including repairs, and another for charitable contributions you may make along the way. Toss out old paperwork. You have enough clutter with current items. Send for a free credit report and correct any errors that you find. Formulate a plan to pay down your credit card debt. Even if you pay 25% over the minimum on the card with the highest interest rate, you will improve your financial situation. This can help you avoid having to work with a debt consolidation company in SC. Assess your tax withholding. Did you get a large return this year? Do you really want to let Uncle Sam use that money all year? Why not adjust your withholding status to keep a few more dollars in your pocket each week? Spring cleaning your personal finances could lead to more on time payments and a higher credit score. Not to mention, relieving some of the stress at tax time next year.